Call or Click to Save on Kingston Car Insurance! ThinkInsure is a leader in offering the cheapest car insurance rates in Kingston for over 45 years. Try our car insurance quick quote to see how much you could save with us today! Car Insurance Savings : Keep money in your pocket. On average, our customers save over $400 per year when they get car insurance quotes with us. 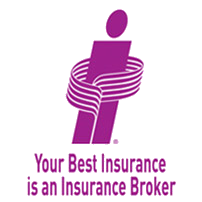 As a large broker, we can get quotes from more than 40 top insurance companies. You choose the cheapest quotes and save on your car insurance policy. Insurance Options : You have options – lots of them! You have access to a wide range of car insurance options, ensuring you get the level of coverage you need, along with the cheapest auto insurance rates in Ontario. With ThinkInsure, you can have the best of both worlds – great coverage and cheap insurance rates. Personalized Customer Service : We want your business, and we’ll do what it takes to keep it. Customer satisfaction and ensuring you have a great experience with our brokers is always a top priority for us. Our team will take care of all your insurance needs so you can have the peace of mind in knowing you are covered. Car Insurance Made Easy : We simplify insurance shopping! We always prioritize our customers’ needs in Kingston. We do everything in our power to make finding the best insurance coverage as easy as possible. Regardless of your specific insurance needs, you can trust we’re here to help. Combine your auto and home insurance and save 20% more! Get an Online Quick Quote or call toll-free 1-855-550-5515 and start saving today! Whether you live or work in Kingston or any other area within Southeastern Ontario, getting cheap car insurance is an important factor in keeping your overall driving costs down. With auto insurance rates fluctuating, and the increasing cost of gas and prices to buy or lease a vehicle, saving money anywhere you can is important. Unlike other car related expenses, you have an opportunity to explore your options annually when your Kingston car insurance policy comes up for renewal each year. Rather than spending your day driving from insurer to insurer to get cheap car insurance quotes, ThinkInsure has simplified the quoting process. We know your time is valuable, and we know you’d rather be spending your time doing other things – like enjoying some time with the family. With ThinkInsure, we make getting Kingston car insurance quotes as simple as possible. Just go online, enter your information about your driving history and we’ll do the car insurance shopping for you. To ensure you get the best auto insurance rates in Kingston, we’ve partnered with more than 40 of the industry’s top insurance companies, ensuring you’ll find the cheapest car insurance quotes and the coverage you need to drive with confidence. What are you waiting for? Let ThinkInsure shop around a find you a number of Kingston car insurance quotes to compare. You choose the best quote and enjoy the insurance savings! Today, there are many different ways to shop for car insurance in Kingston. However, working with an auto insurance broker has its advantages and is your best option. Our main job is to help you save money and get cheap car insurance rates in Kingston. As an auto insurance broker in Ontario, we work for you and act as your liaison between you and car insurance companies. This means that we always have your best interests in mind, and helping you get great insurance coverage is always our top priority. Our insurance services are 100% FREE! Try our Online Quick Quote or call 1-855-550-5515 to speak with a licensed broker. Start saving on your Kingston car insurance now. 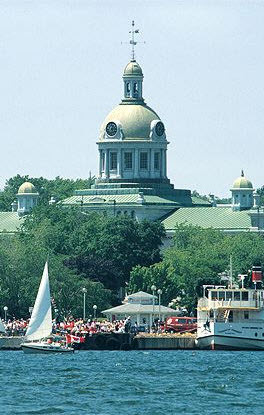 Located where Lake Ontario and the St. Lawrence River come together, Kingston is a small town that is located between Toronto and Montreal, only a short 2-hour drive to Ottawa. With just over 120,000 residents, it’s known for being home to Queen’s University and the Royal Military College of Canada. The city is also known for its rich aboriginal, French and military history. It’s also the home of Fort Frontenac and was named the very first capital of the Province of Canada way back in 1841. Today, it is surrounded by many local towns and is only a short drive to New York State. It’s also developed the reputation for being a Canadian Hockey hotbed, producing dozen of NHL players, and the city is also home to the Kingston Frontenac’s of the OHL. The area sees plenty of traffic from residents, people from the surrounding towns, and people passing through to cross the border into the United States. Traffic is aided by the fact that the 401 crosses through the north end of the city, with Highway 15 and Interstate 81 also being busy routes to and from the city. Winter driving is a huge factor in Kingston, a reason to ensure you have high quality winter tires and a good car insurance policy. Another reason to ensure your car insurance is up to date is that most insurance companies see it as a safe driving practice and offer increased car insurance discounts. Check the border crossing times if you plan to make a trip to the U.S.
Make sure you install winter tires in advance of winter driving season. Avoid distracted driving and keep your focus on the road at all times. Drive with care when approaching Queen’s and the other colleges in town. Give yourself enough time to arrive at your destination on time. Make sure you travel with an emergency kit in your vehicle, especially during the winter months. Make note of construction zones and avoid them. Following these driving tips and car insurance advice will ensure you are ready for anything when driving. Be confident behind the wheel knowing you have the best coverage and have saved money on your auto insurance rates by shopping for the cheapest car insurance quotes in Kingston with ThinkInsure. We look forward to helping you with all your insurance needs! Saving money on your insurance starts with a quote. Get an Online Quick Quote OR call 1-855-550-5515 and talk to an experienced ThinkInsure licensed broker. We’ll help you get the cheapest car insurance quotes in Kingston.